How to choose the right balance Board? 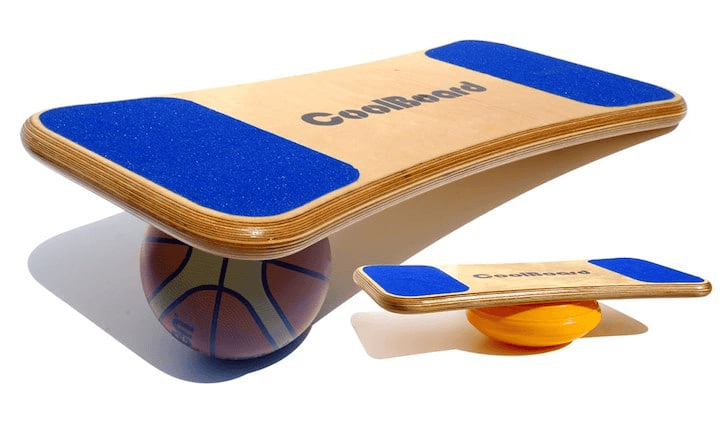 Why is physical activity using balance board so effective? In pursuit of perfect buttocks, abs and embossed hands, many of us forget about the balance exercises. But the balance is one of the basic needs of our body when we are moving. Sphere and ring, rocker, wobble and other balance boards are the optimal variants for improving this balance. Improving balance and coordination is, of course, an important feature and many professional athletes resort to the use of boards to improve their training, but still, it is necessary to admit that not everyone needs it. But the strengthening of the leg muscles, which work almost all the time throughout life, is significant. Moreover, we are not talking about all the muscles, but rather about those who often receive the insufficient load. It consists of a flat wooden or plastic board with a support point attached under it. Some models, especially those designed for children, are made of a single curved platform. Rocker Board allows you to move only in two directions. Rocker Board is the perfect entry level board for those new to balance exercises and is the least challenging of all balance types. TheraBand is a respected player in the balance boards industry. It created a solid model of the Rocker Board for a very reasonable price. This model is durable, reliable and responsive. TheraBand Rocker is a 14×13 inch square board that has a 30-degree deflection angle. Made of black plastic, the board has a specially designed tactile surface for better fixation and relaxation of the legs. This makes it an ideal model for barefoot exercise. The simulator is durable and lightweight. This model makes it possible to perform exercises through one plane, which makes it ideal for beginners and those who are recovering from injury. This type provides you with more features than the Rocker Board. Instead of just tilting from side to side, you can now move through the full 360-degree range. While there are differences among brands, most Wobble Boards have a hemispherical fulcrum, with the rounded portion touching the ground. The platform itself is always attached to the bottom of the board in the center. This model of the simulator is a good choice for those who, in addition to balance training in the usual sense, will use it for other exercises. You can do movements like squats, push-ups. Yes4All Wooden Wobble Board is an excellent balance between money and quality for a functional and durable balance board model. Yes4All balance board offers one tilt angle and one motion plane. This solid wood board has a slip-resistant surface. The fixed fulcrum is a plastic mount that allows unidirectional movement. This is the base Wobble Board, which performs its function well, but does not allow you to adjust the angle. Compared to the primitive Wobble boards, they add an additional element of instability, providing an unattached fulcrum. It is made in the form of a cylindrical roller. The platform of most Rocker Roller Boards is similar to the base of a skateboard. The fulcrum can move both on the board and on the ground. The fulcrum between the platform and the roller is constantly changing and is in motion. On some platforms, there is a guide that fits the groove on the roller. This helps maintain roller alignment and is easier to balance. 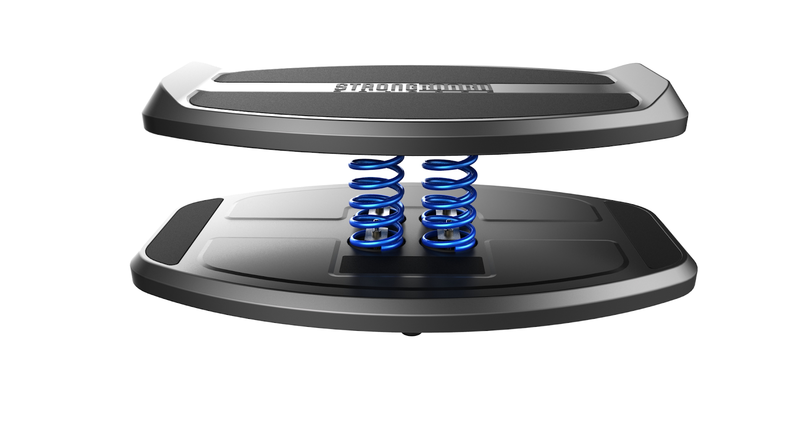 The Revolution 101 Balance Board – in our opinion a very decent version of the balance simulator. 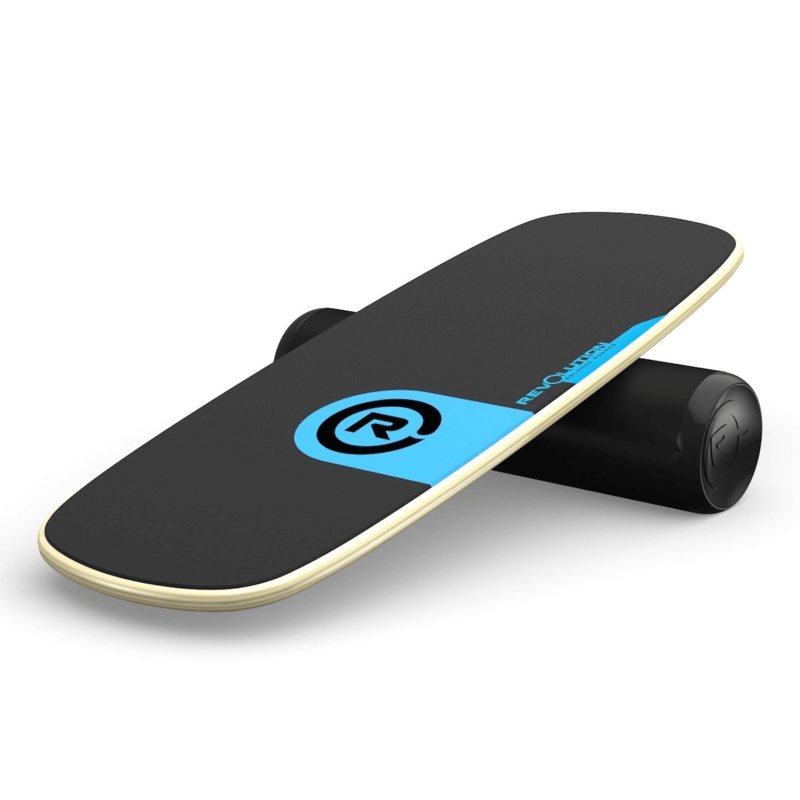 This balance board gives you the opportunity to get a good experience, is very well designed and comes at a good price. This model is equipped with a soft coating for the feet, providing comfort during exercises without shoes. The 11-layer wooden platform is very durable as well as lightweight. The roller is made of heavy-duty plastic. On this board, there are limiters on the back of the platform that keeps you in control without letting the top slide off the fulcrum. The platform of this board is made of 11-layer hardwood, which makes it extremely durable and wear-resistant. The upper part is finished with non-slip and at the same time soft pad for better grip and comfort. The roller design is solid. The support point of this balance simulator is the spring structure, which is located between the two platforms. When a person stands on the board, the springs are compressed, which leads to instability of the structure. The challenge is to allow the user to restore balance when maneuvering the Board. By moving and distributing the weight, the user can move the platform in any desired direction. StrongBoard offers a unique way to work with body balance and is a great tool to improve your traditional training program. However, it does not offer the range of motion of roller or spherical and ring balance boards. The small platform rests on four compression springs that offer a peculiar range of motion. This model may not be basic in balance training, but it adds a surf-like character to your training. The simulator is compact and lightweight. These boards are similar to the Rocker Boards because they both have a loose foothold. They have a rubber ball as a support. The ring around the bottom of the platform provides a protective barrier to the ball being a kind of limiter. This provides an even greater level of difficulty as it allows 360 degrees of movement in all conceivable directions. With good preparation and the ability to keep the balance of his body, an experienced user can move from side to side, back, forward or diagonally. It can also perform full 360-degree rotations. This type of simulator offers the greatest range of motion and has been used to perform truly stunning stunts. Cool Board has a standard form of balancer made of hardwood. On the top of the platform, there is a special anti-slip coating. At the bottom is a special limiter of the ball. Depending on the model you choose, the balloons can be either inflatable or completely rigid made of polyurethane. The original model is equipped with an inflatable ball. Each CoolBoard is made by hand in Bristol, England. The platform is cut from high-quality birch wood. Then the finished form is filled with varnish in four layers. Balance is important in morning runs, in weight-lifting exercises and, of course, in sports. Balance exercises will help you to prevent domestic and sports injuries, as well as strengthen the vestibular apparatus and improve coordination. The fact is that when training with a bar, the main load is taken by the largest muscles, which are designed to perform certain movements. At the same time, the rest of the muscles are very difficult to use, as the “large” muscles simply take away their entire load. As a result, this creates a strong imbalance that is equally harmful to both athletes and ordinary people. The phrase “everything of genius is simple”, is perfect for the Balance Board. It is equally used by both amateurs and even just supporters of an active lifestyle, as well as professionals in different sports. Today, the balance board is not just an exercise machine but a real attribute of a separate movement. Especially this sport is interesting for young people. static – aimed at developing a sense of balance in different positions. dynamic – which will help not only to improve balance control but also to improve physical training. Regular training on the balance board helps to work out all muscle groups, to master various positions and improve the technique of riding. That is why this exercise machine is so appreciated by experienced athletes and is a must for beginners! Devoting classes on the balance board for 15-30 minutes a day, after a couple of weeks you will feel much more confident, standing on a skateboard, snowboard, wind- or kitesurf. According to statistics, those who previously exercised on the balance board, master the board sports much faster than beginners with zero training. And it helps experienced athletes to keep fit in the off-season. In addition to the obvious benefits for a sense of balance and general physical training, balance board training develops endurance and coordination, which is also important in any sport. Easier to learn new moves. Masters noticed that if a new move is learned in combination with balancing, the result is achieved much faster. The mood increases and appears a strong desire to work on your own body. Training on the balance board does not require a lot of time. It is enough to pick up dumbbells and perform standard exercises in 2-3 sets. There are some of them: squats lifts hands to the chest with the breeding of elbows to the side, a small rise of arms with bend only at the elbows, pull the dumbbells. 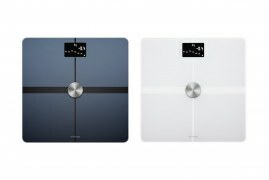 A simple way to lose weight: buy a balance trainer and put it in the kitchen. In any free minute balance! Relieves fatigue. Work at home can be very tiring. A few minutes on the board will quickly relieve fatigue and activate all the muscles and brain. Balance trainer is different in that it is always in working condition and ready to perform its functions. Functional Trainer. It is used at the warm-up stage by runners and athletes, gymnasts and skiers. Every athlete can find in it what he needs. Develops coordination. Not to be confused with balance. It’s one thing to stay on the board and quite another to do simultaneous movements of the hands, body and still monitor the environment. A good simulator for wrestlers, boxers, and athletes of other disciplines, where perfect coordination of movements is required. On the balance board, you can simulate the movements that athletes of any other board sports perform. Balance trainer is very convenient for training, for both beginners and pros. An inexperienced athlete will be able to get the first skills of standing on the board, and the master will hone the performance of a new trick, breaking it into simple movements. Proprioception is a subconscious activity that our bodies constantly carry out to maintain balance in space. We don’t usually think about it. Poor balance is the main sign of a violation of proprioception. Balance workouts will improve your proprioception, allowing you to control your body in all situations. Regular exercise will strengthen your joints. Training is especially useful for reducing the frequency of ankle sprains in athletes. The ability to fully control what your body does at every moment, have an advanced level of dexterity and mobility to make quick turns, jerks and dives are what sets an excellent athlete apart from the average. Training with balance board will allow you to develop your kinesthetic awareness so you can master your body in any situation. Balancing training is one of the most effective ways to develop your inner corset. The fact that you are balancing on an unstable platform makes your core muscles constantly turn on as they adjust your body position to maintain your upright position. Most often we train to become stronger by working muscle groups in isolation. The key to functional strength, however, is that all the muscles in the body work together. This includes small muscle stabilizers that are often ignored by traditional strength training. Balance training allows you to touch all the important muscles of the stabilizer. Since you are constantly in a state of imbalance, these stabilizer muscles are constantly forced to contract. They work together with your large muscle groups to balance you. Wooble board is the optimal choice for me. It is a great helper during my workouts. With its help, I manage to maintain my posture, keep the muscles in tonus. The main pro for me is that the board is convenient in usage. It is durable and highly effective. 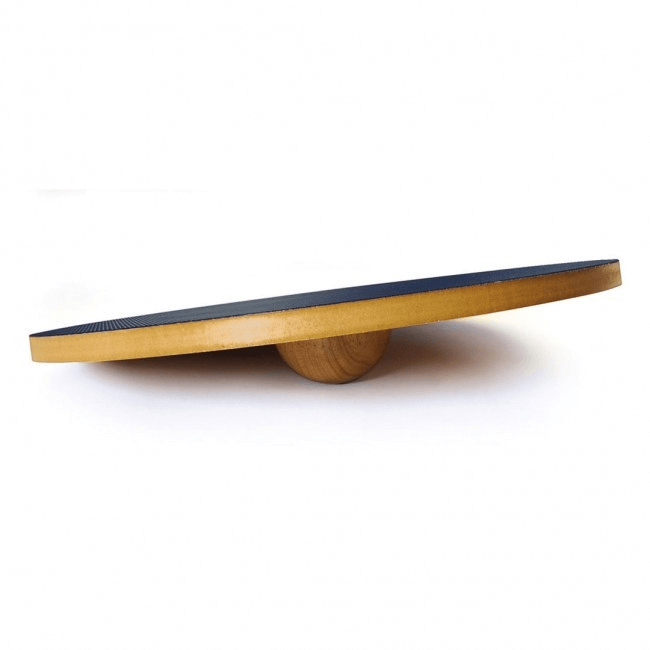 Yes4All Wooden Wobble Board is an outstanding balance between money and quality. Highly recommend this fitness equipment! I consider Rocker board the best. What I like the most, is that it can be suitable for children. My son has got problems with his back. Actually, doing workouts with the help of this fitness equipment, the posture significantly improves. I noticed the first results in a week. My child sits at the table with the straight back when he does his homework, or have a meal. 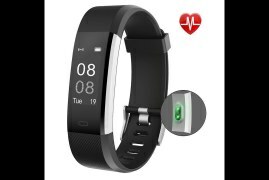 I’m glad that such a simple fitness simulator helps to solve our problem.